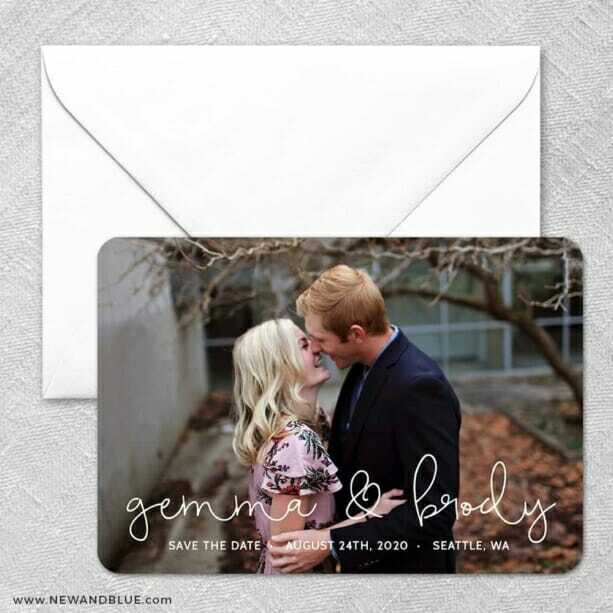 Great product!We received our customized Save the date magnets quickly with zero effort after designing online. We decided to go with the petite size which were perfect. The magnet doesn’t fully fit in the envelope so we had note cards with our wedding website address printed at staples ($17 for 70) and it all fit perfectly in the addressed envelopes. We will definitely be ordering our invitations from here! Excellent productThese save the dates look perfect! The quality of material was excellent, they are just the right size, and the New & Blue team was so helpful when I had questions and needed assistance editing my addresses. I can't wait to order my wedding invitations!